"The Fyre-Bough has become one of Wolcensmen's biggest and most iconic songs, and was composed quite effortlessly. The theme is that of how the natural and 'supernatural' weave into one another, and how respecting these eternal, hidden patterns is the path to contentment." Founded upon a passion for dark acoustic music and folklore, Wolcensmen began life in 2013. Dan Capp, a guitarist from England (who went on to join Black Metal band Winterfylleth) undertook the work of resurrecting old acoustic ideas he'd written since the late '90s, inspired largely by Scandinavian bands who had pioneered the inclusion of folk and neo-classical elements within their sound. Wolcensmen became the vehicle for expressing spiritual philosophies and a specific musical atmosphere. 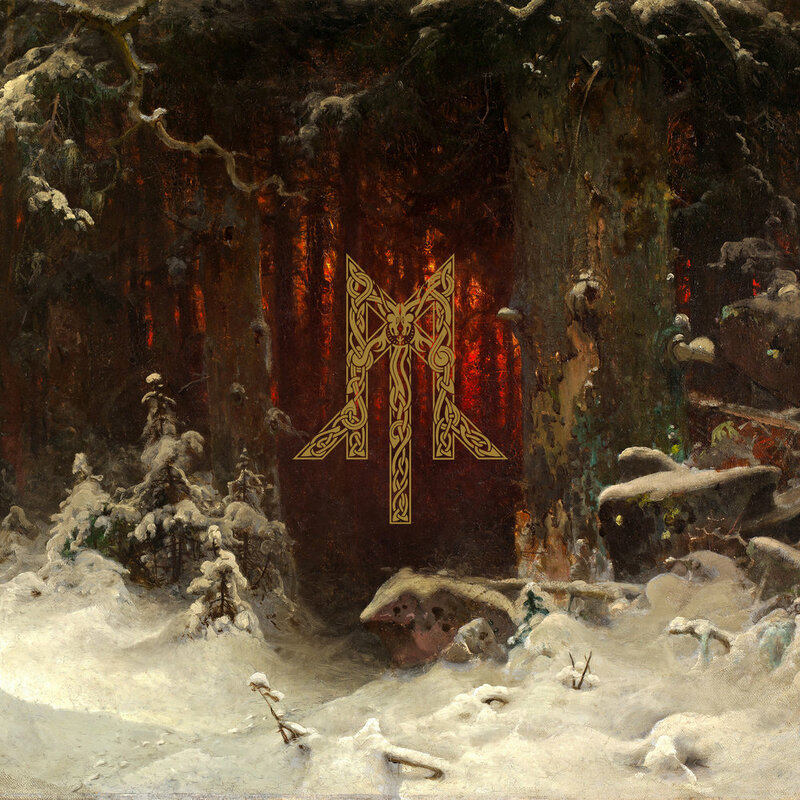 A self-produced demo captured the imagination of underground music fans, and Dungeon Synth label Deivlforst Records assisted in making the demo available again after its limited initial run. In 2015 work began on the debut album, which was released in November of the following year by the name 'Songs from the Fyrgen'. The CD pressing sold out within six months and the album received widespread acclaim, with some quickly considering it a classic of the genre. In 2017, Wolcensmen was brought to the attention of Norwegian label Indie Recordings who saw the need for a reissue of 'Songs from the Fyrgen'; remixed and remastered, and with proper marketing and distribution. The album will be re-released on 30th November 2018 with a bonus disc of brand new songs, including a rendition of the Bathory classic 'Man of Iron'. Wolcensmen is part of the revival of interest in old European spirituality; a sincere expression of mysticism and superstition, and an approach to songwriting which aims to bring near-forgotten things back from the mists of time.